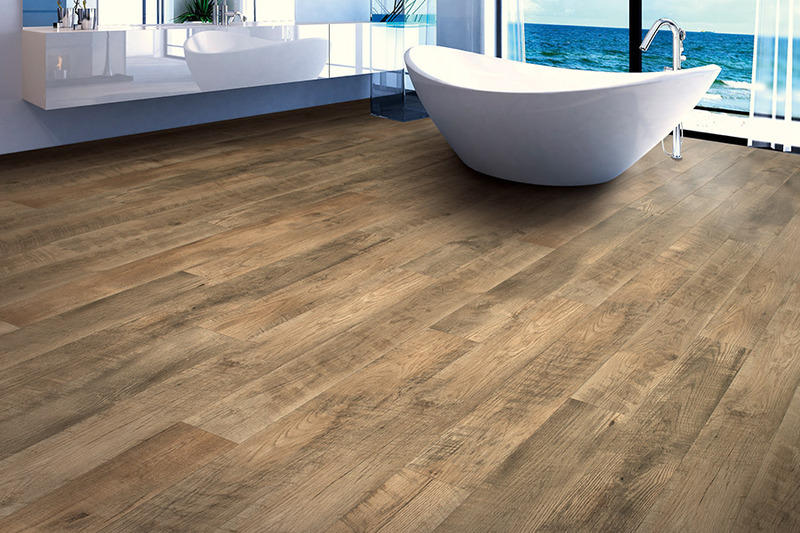 When laminate first hit the flooring market in the United States, it was the one and only wood-look floor covering that could be purchased. Since then, it has only managed to get better, gain more benefits, and become more popular than ever. Homeowners are still turning to material for amazingly accurate wood-look flooring product that has earned their trust. Others who are just finding it are taking the chance and finding out how many benefits fit their own needs. The Carpet Guys, with a showroom in Troy, MI, proudly serve the areas of Macomb, Sterling Heights, Troy, Clinton Township, and Canton. As a locally owned and operated flooring business, we offer a great selection of affordable flooring as well as services to match. We also offer free in-home estimates , weekend appointments, eco-friendly products, and access to our more than 30 years of flooring experience. Feel free to stop by and see us to find out how we can help match you with a floor covering that meets all your needs. If you’re looking for an amazing wood-look floor covering, you can’t beat the way laminate mimics solid hardwood. From the species type, to the grain pattern, to amazing stain color options, you’ll fall in love with this flooring quickly. What’s more, you won’t have to worry about keeping up with a maintenance schedule such as is needed with the real thing. It’s also more affordable and more easily changed, should you decide you want something different in the future. 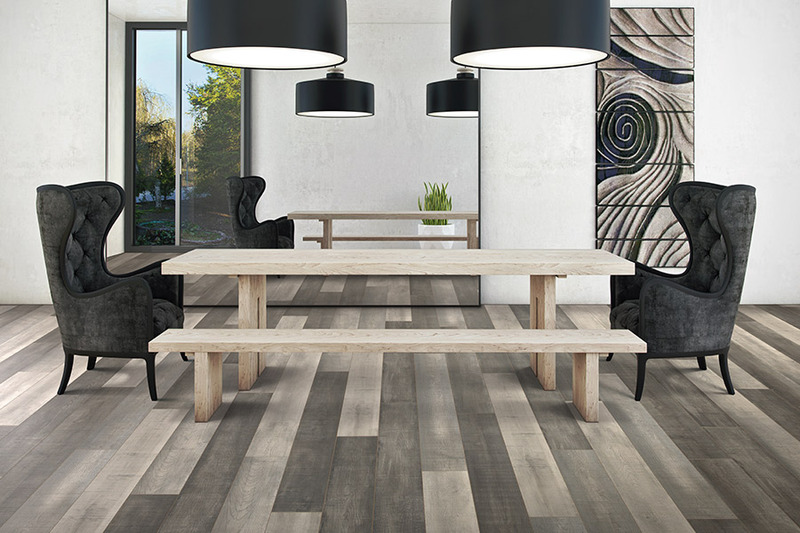 Another great thing about wood-look flooring is how well it stands up to changes in trends. Not just flooring trends, however, as it also stands up to trend changes in interior design. You will be able to change your interior decor, wall colors, window treatments and more without worrying that it will clash with your flooring. That is a great level of peace of mind to have in place. 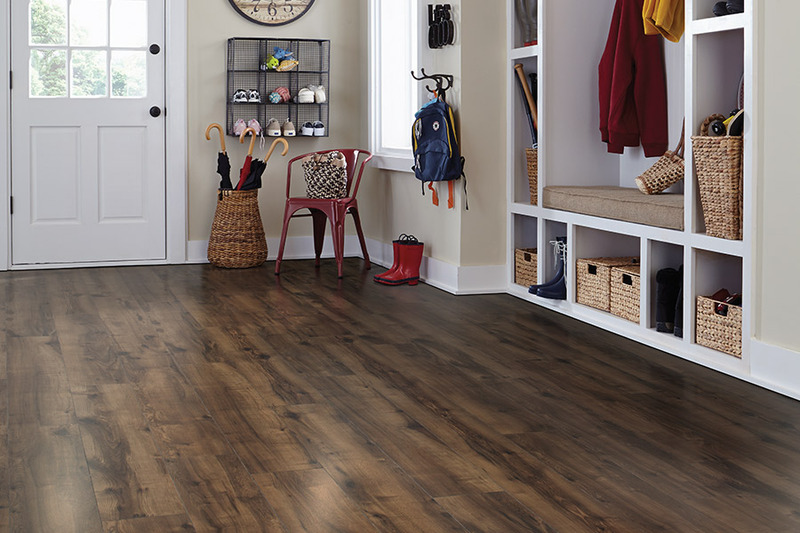 Laminate offers excellent durability and very stable platform, even on some of the more subpar subflooring materials. Some laminate can even be floated, evening out certain spaces that may have been uneven in the past. Its construction offers a stable backing material, along with a core and design layer. Everything is covered with a protective wear layer that staves off the effect of everyday wear and tear. You’ll see fewer scratches, scuffs, dings, fading, and so much more. We will bring our store to your door for your next laminate flooring project, and we offer next-day installation on all in-stock products. 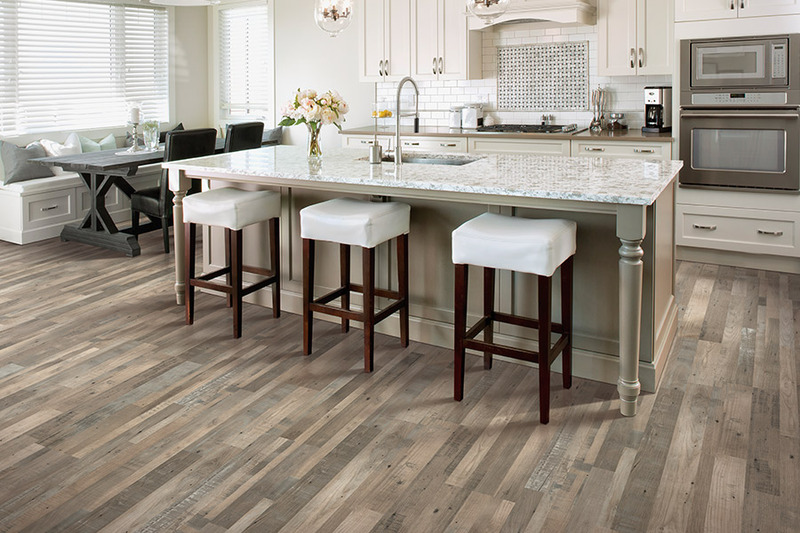 Our warm, friendly customer service representatives are just a click or phone call away from getting your home measured for new laminate floors for free. People often wonder how much a laminate floor installation costs; and while it is much less than hardwood, the only way to get an accurate quote is by having one of our knowledgeable design consultants come out to take exact measurements of your home. Like many other types of hard-surface flooring, laminate flooring products have experienced major advances in the procedures used to manufacture them over the past 20 years. When laminate flooring was first introduced back in the 1980s it was considered as an inexpensive alternative to hardwood flooring, but it lacked a realistic hardwood look or feel. 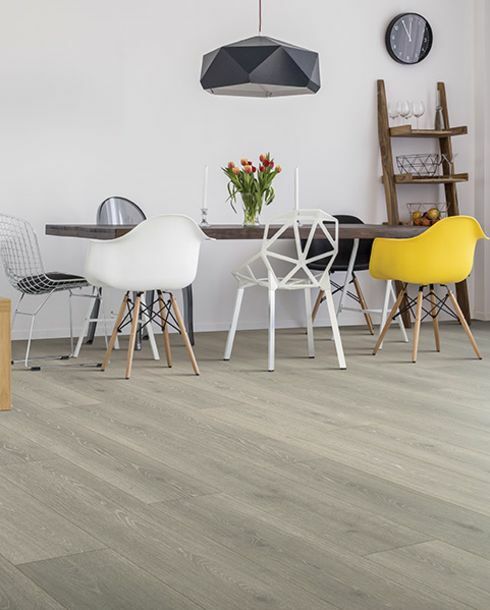 With new technological advances in the laminate flooring industry, companies are now able to produce high-end laminate products that in many cases have a better appearance than many actual hardwood products. Laminate is more durable than real wood; requires much less maintenance, and comes at a more cost-effective price than traditional hardwood floors. Do you want the beautiful appearance of a real hardwood floor, but with exceptional performance that will stand up to the wear-and-tear of children, pets, and spills? 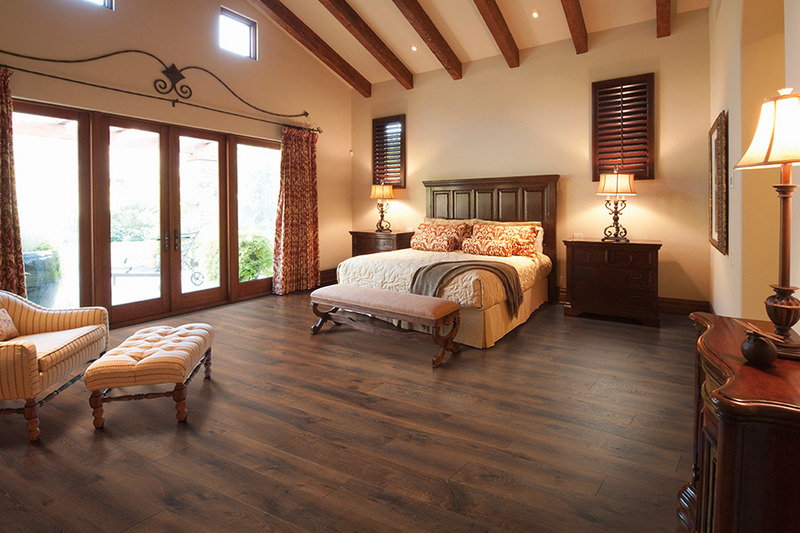 Laminate flooring might be the right option for your home’s needs. Laminate floors are similar in construction to Formica kitchen counter tops, but with added performance features. Laminate flooring offers a significant value in the world of hard-surface flooring, and you often cannot tell the difference between laminate and real hardwood flooring. 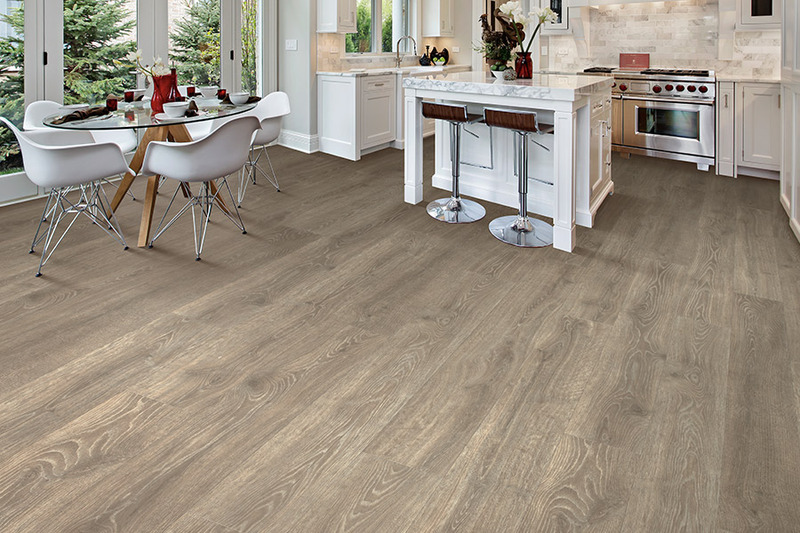 Laminate is popular among buyers that are looking for a beautiful, durable, yet cost-efficient flooring solution for their home. We carry a wide selection of laminates to suit every design need and budget, all of which are backed by written guarantees, and our famous lifetime installation warranty.